Apple’s iOS 9 was introduced last year, boasting quite a handful of under the hood and visual changes. iOS users have always been keen to update their firmware, unless they want to jailbreak their devices. 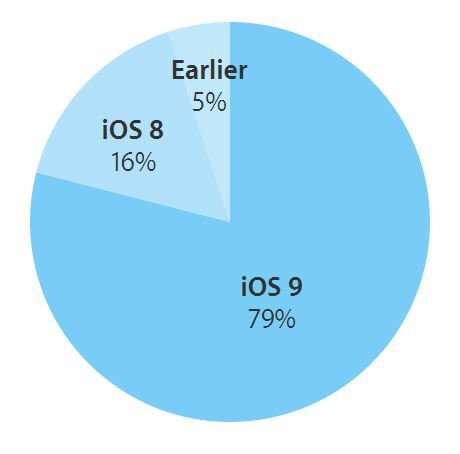 iOS 9 adoption rate gradually paced up until last month, where it was stuck at 77 percent. After four weeks, Apple on Monday updated its App Store dashboard showcasing latest stats on the adoption rate of iOS 9 and more. Let’s see how far did iOS 9 stretch. Updating to the latest iOS version brings new features and options to improve aesthetics and increase performance. However, it does not always turn out to be that way. The update brings bugs that occasionally stalls the UI experience. Henceforth, some iOS users prefer to rest on their host iOS version, ultimately resisting the update. According to the latest device logs captured on 7th March 2016, it seems that iOS 9 is now running on 79 percent of devices that accessed the App Store recently. A two percent increase in the adoption rate has been derived from iOS 8 or other earlier versions that gave up to iOS 9. We can say that iOS 9 now powers almost 8 out of each 10 devices that supports it. 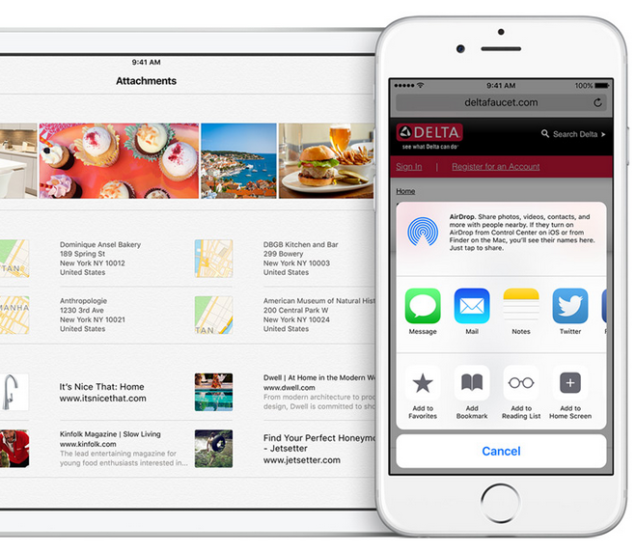 iOS 8 has lost 1 percent of share compared to last month, where it rested at 17 percent. Moreover, older iOS versions that represented a total of 6 percent last month, also lost a point this month. Now, older iOS versions adds up making just 5 percent of the total share. It sums up that the variation in adoption rate now comes from existing users who are updating to iOS 9. Nonetheless, 79 percent of devices running iOS 9 are by far a much progressive figure compared to its Android counterpart. Android has always been quite sluggish in delivering recent firmware updates to users. It’s been almost a year since the release of Android Marshmallow and yet it rests at 2.3 percent of distribution. KitKat being the highest distributed Android firmware is at 34.3 percent devices that run the Play Store app. Still not even half compared to iOS 9 adoption rate. Although iOS 9 has introduced new features, the update also had some bugs that might brick your device for good, for instance, the January 1, 1970 date bricking bug. However, Apple fixed in in an update. This is it for now, folks. Is your device running iOS 9? Do you think updating it was a good move depending on your device? Share your thoughts in the comments.